Back during the time of the Venetians and Romans, marble was already a popular material used for architecture, flooring, and sculpture. As a result, there was a surplus of marble chips and pieces available after the completion of a project or commission. Rather than toss the pieces, stone masons at the time would mix the marble fragments with concrete, creating a completely different kind of marble surface (which they polished with goat’s milk!). They called it terrazzo. Just like marble, terrazzo can be used for flooring, counters, stairs, patios, columns, fountains, and much more. Today you see it in schools, government buildings, airports and in many residential entry ways from the 50’s and 60’s, where it was a sign of affluence. Nowadays, terrazzo isn’t just created using scraps of marble. It can be created with quartz, granite, glass, and any other suitable material mixed with a chemical (cement) or physical (polymer) binder. If you live in a vintage home with carpet or vinyl in the entryway, take a peak underneath if you can, you may have a hidden treasure there. 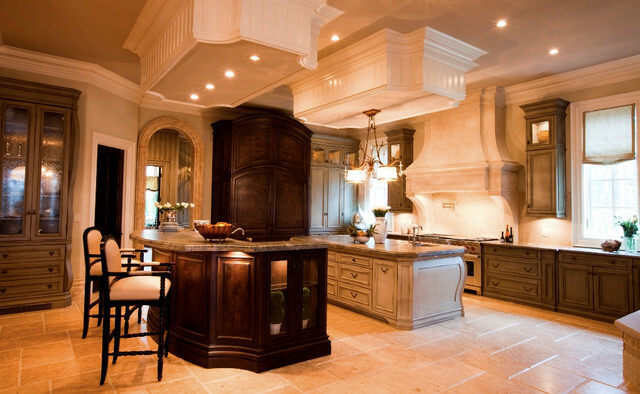 Such fines can add considerable value to your home if restored. Restoration is quick and simple. The old tile or carpet is removed and the surface is re polished. It was generally covered because the technology to restore was not well understood or available as a service (which is kind of crazy given they had to polish in when they initially installed it). Today, the advances in polishing technology has changed all that. If you have terrazzo you will find it is very durable, requiring less maintenance than a similar marble floor. That said, the life of your finish can still be extended between restoration with the appropriate maintenance. 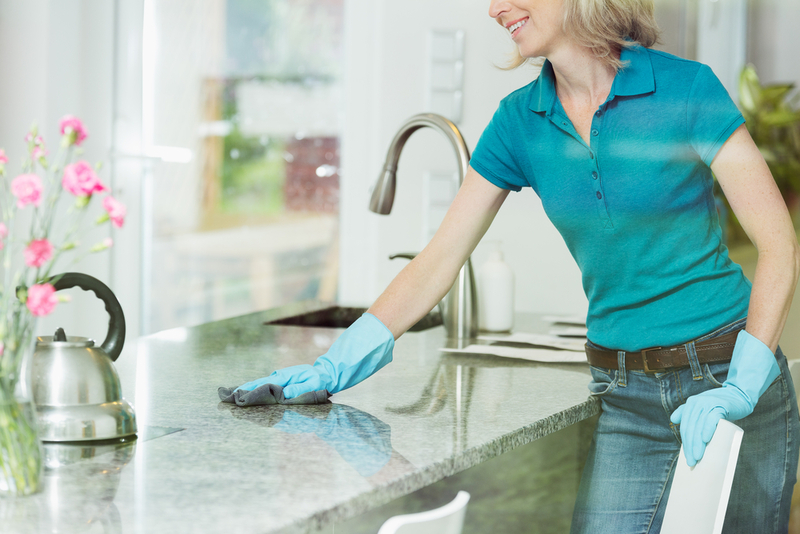 Here are a few guidelines to follow when cleaning and maintaining your terrazzo surfaces. Even though terrazzo isn’t quite marble, it’s still cleaned in much the same way. Because it’s composed of fragments of other stones mixed with a binding agent. Its non-homogenous appearance hides wear exceptionally well, but it cannot eliminate it. Etches that would appear as a uniform white mark or spill mark are broken up and ofter much easier to hide or camouflage in the stone. That said, it eventually si going to need help if not treated well. So treat it well. Treat it like marble. Never use acidic or abrasive cleaners on your terrazzo. Instead, opt for a non-acidic cleaner like our MARBLELIFE Marble Cleaner Concentrate, MARBLELIFE Marble & Travertine Cleaner or MARBLELIFE EnduraClean. 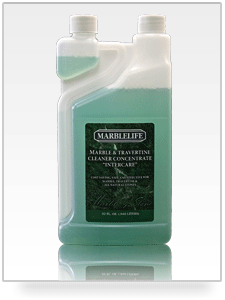 Marblelife Marble & Travertine Cleaner does an exceptional job removing dirt and oil without depositing waxes or other foreign materials which can build up. The concentrate is ideal for floor care and significantly more cost effective, as one avoids shipping water. A gallon of water needs only 2 oz of concentrate so it is long lasting. EnduraClean is designed for cleaning larger higher traffic floor areas and includes and additive designed to repair the floor without being able to build-up. This unique proprietary technology will bond to any broken surface bonds to repair the hard coat finish but unlike a wax or coating type polish cannot build-up or trap dirt as it will only bond to those open sites, the rest remains in solution to be rinsed away. The result is comparable to visiting the dentist for a floride treatment for your floor. A bright clean smile. Just like marble, terrazzo surfaces are non-allergenic and bacterial-resistant but you’ll still want to keep loose dirt and other debris from sitting or settling onto your terrazzo by sweeping or mopping at a regular frequency. This reduced the number of abrasive particles available to be ground underfoot. Most people are amazed to learn it is neither our feet or our footware that causes abrasion, but rather that hard particle that concentrates down pressure on one spot to break the surface. If you only dust mop along the door entrance area you have done a tremendous benefit. Hotels with high foot traffic often have the door man run the dust mop across the entrance way 5 times a day to help win this battle. Not the entire floor just one 3 foot sweep across the entrance. You don’t have to get the floor wet. In fact, we do more corrective mop training than anything else. The only time we need to wet a floor is if we need to clean up a tried sticky mess left over from a soda spill that has been allowed to dry. How often does that happen? Virtually never. The purpose of mopping is either to apply a wax (which we should never do to a marble or terrazzo floor), or to remove the lose dirt and dust. A damp mop works far better than a wet mop. Try this experiment. Dampen your finger and touch the corner of a piece of paper and you can lift it off the table surface, get your finger wet and the paper doesn’t move. Similarly our goal is to trap and lift the dust and sand particles off the floor and rinse them off in our bucket. Then wring to damp again and continue. MARBLELIFE’s cleaner is formulated to also neutralize acidic spills form juice and other spilled drinks even in a damp form. So we want the right cleaner, and then to just damp mop. Terrazzo is remarkably resilient and high-level restoration is rarely needed. However, if restoration becomes necessary, this is a job best left to the professionals. and a testament to its durability. The only time you are going to need a rinse of vacuum is if you are clearing off the mud of centuries (although all the archeologists are now cringing). Truth be told once they have brushed away the dust and debris, a water rinse and vacuum followed by a damp mopping and many of these floors could be put back into service. Any repairs could be made… However, unlikely that is, yeah we could do it. In your case, unless the football team is coming over after a game in the rain, you will never need this much water. 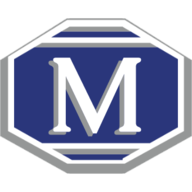 For any other terrazzo-related questions, contact your local MARBLELIFE office and a knowledgeable stone craftsman will be happy to assist you and offer any guidance and information they can.